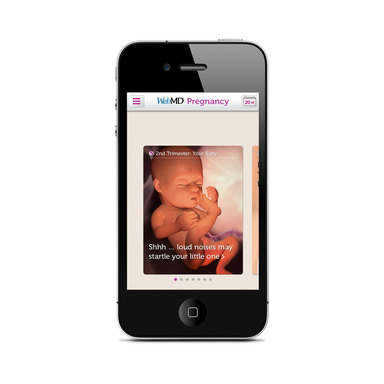 WebMD pregnancy app for Apple iPhone helps pregnant women with expert advices and pregnancy tips to take proper care of themselves during the pregnancy period of 9 months. 1. Kick Counter lets pregnant moms track and monitor their baby's movements and you can also calculates the no of kicks that can be shared on social media. 2. Expected moms can take pictures of their belly and can observe the week-by-week slide show of their belly bump increasing.